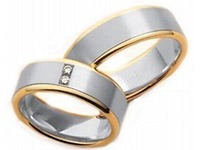 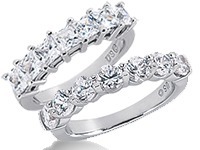 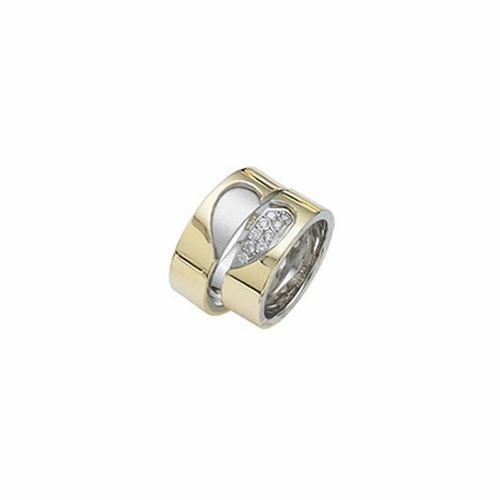 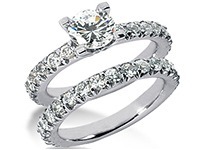 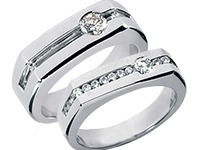 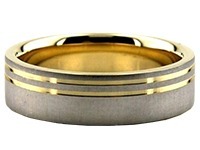 This 18k Gold His & Hers 0.24ct Diamond Wedding Band Set is 6mm wide and approximately 2mm thick. 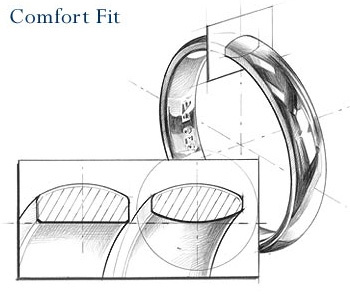 The bands are rounded on the inside, creating a comfort fit for constant wear that will not pinch and still slide easily on and off of the finger. 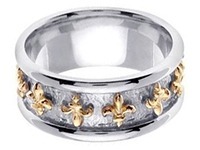 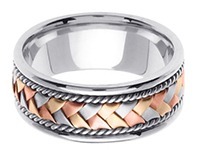 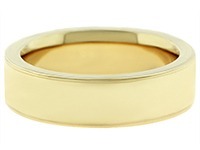 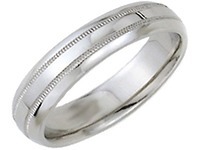 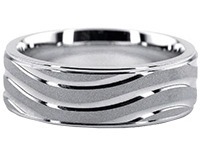 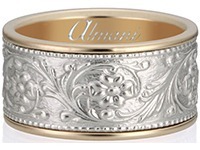 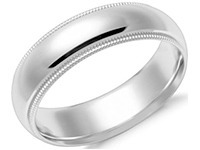 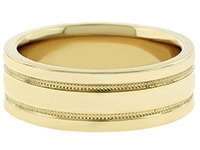 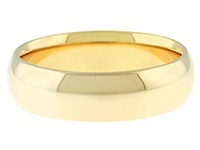 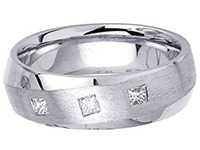 This beautiful hand made designer wedding band are featured in two tone 18k white and yellow gold. 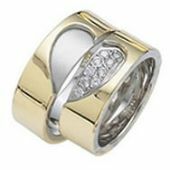 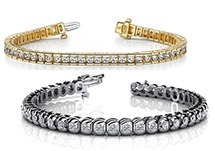 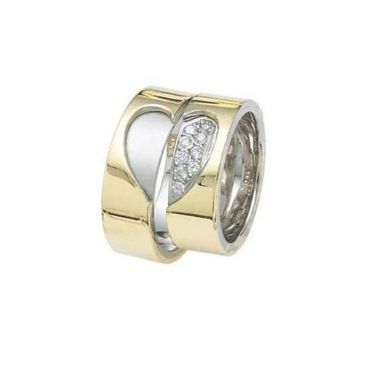 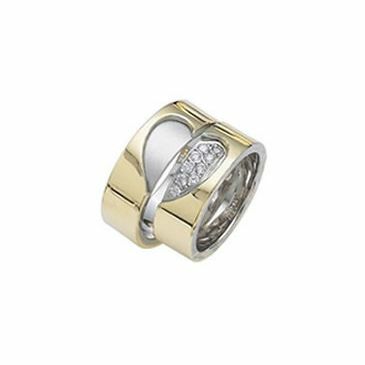 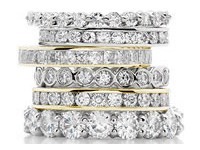 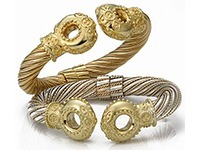 The bands are crafted with a yellow gold shiny finish and half heart shapes in each ring that once joined together create the ideal symbol of love; the heart. 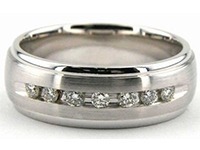 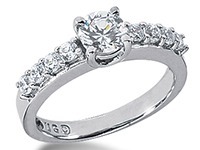 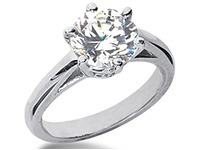 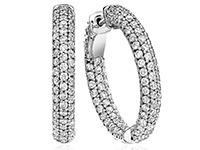 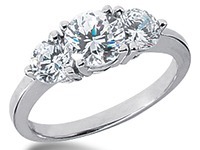 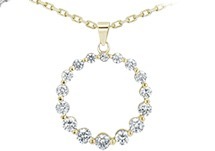 The HER band features 8 round brilliant diamonds placed in the half heart design in a pave setting.